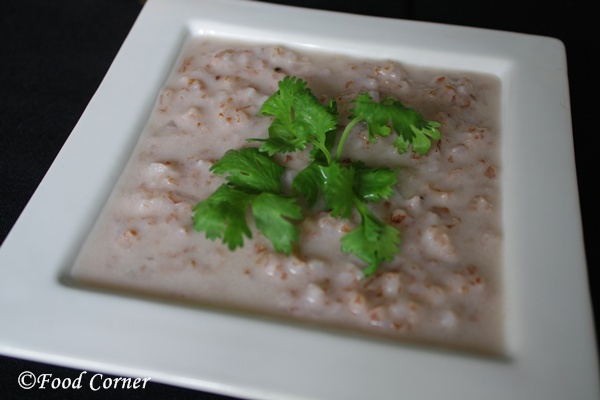 This Red Rice Porridge is cooked as per a recipe I remember from Sri Lanka. I am not very sure if this is the authentic Sri Lankan Rice Porridge, however this is well matching with Sri Lankan taste. Once I was sick and my mother asked me to have ‘Lunu Kanda’ which is cooked using rice. That time, I lost my appetite but I liked this porridge (Lunu Kanda). 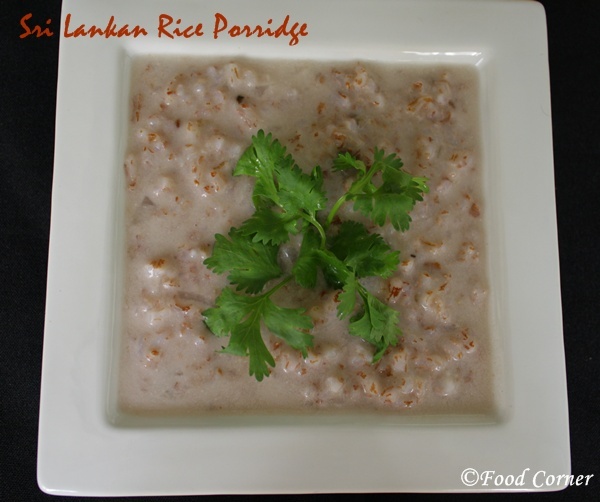 In Sri Lanka there are different porridge recipes which are easy to make. 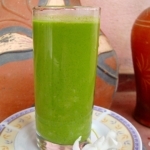 Kola Kanda is one of the recipes that include different edible leaves. 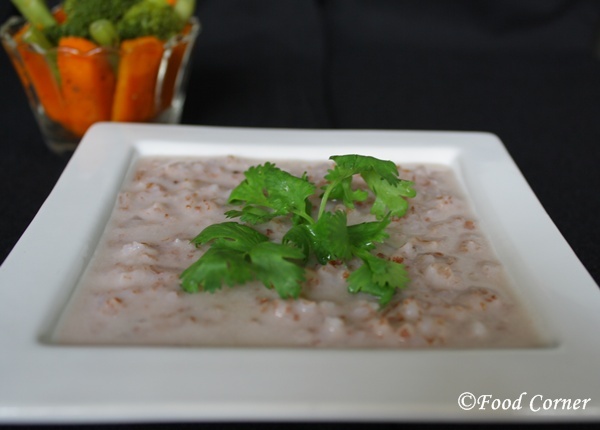 Habala pethi kanda is another Sri Lankan porridge which is also good for toddlers. Anyway I cooked this Red Rice Porridge again as per the recipe I remember. 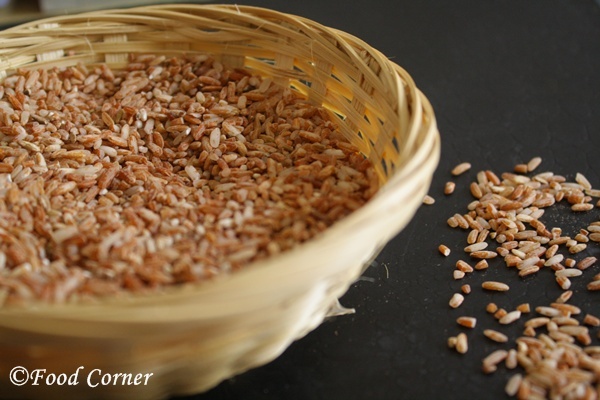 Red rice is always better than white rice because of its nutritional value. 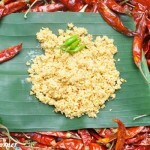 Specially it contains much vitamin B and in Sri Lanka we have opportunity of eating red rice in our meal. 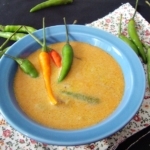 Here is the recipe for Sri Lankan Red Rice Porridge(Rathu Kakulu Hal Kanda).I am sure this Red Rice Porridge is good for breakfast or even to serve somebody who is sick. 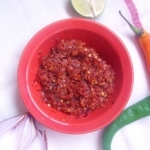 Slice onion and chilli. Chop garlic. Wash red rice. 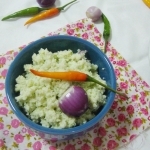 Combine all the ingredients, garlic, onion, curry leaves, rice and water in a pan. Cook on a very low flame for about 10-15 minutes until the rice is over cooked. Stir the mix time to time while cooking. Once the mix is cooked well, add the coconut milk and stir. Adjust salt to taste. Using a spoon, just smash the rice to make the porridge thicker. 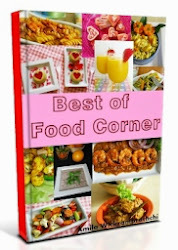 Garnish with coriander leaves or spring onion. Luv your versions of the pordige. Comfort food. 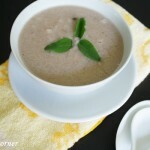 Super comforting and healthy porridge. Have to try this…..looks yummy. I have heard good things about red rice. I am definitely trying this recipe. WOW! 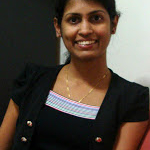 Thanks for your visit, Your blog looks amazing.Happy to follow you. I need to try the porridge. Yummy! Your newest follower via blog hop. Simple and healthy. Loved it.